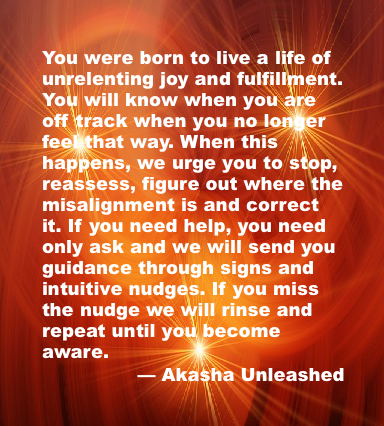 Akasha Unleashed, Answer Diva, empowering women, transforming lives. What is the Akasha, and how did it get unleashed? The Akasha is an energetic archive, kind of like an ethereal Internet, where your Akashic Records are stored. You might think of it as a database, or a library, that contains every detail about your soul since the moment you were created. Think about it. Why struggle and strain trying to answer the big questions when you can consult the manual (your Akashic Records)? Your Akashic Record is an incredible tool given to you by your Creator. It’s meant to be used to empower and enrich your life, helping you create a bright, abundant future. Let that sink in for a moment… an entire archive dedicated to you, available any time you need guidance or inspiration. Containing answers to all of the questions you could ever ask. It was always intended to be used as a tool for empowerment. It’s the key to discovering your soul purpose, reaching higher consciousness, and helping you with your life journey. 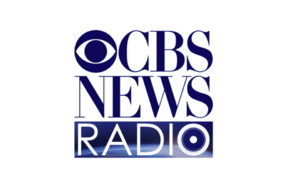 Now that you are aware of it, why wouldn’t you take advantage of such an incredible resource? We all run into obstacles and challenges that at times feel impossible to overcome. Times when we desperately need clarity and insight. There is simply no need to spend days, months (or in some cases years), stuck and frustrated when you have a manual ready and waiting to be consulted — The Akashic Records. What kind of answers are in The Akashic Records? It would be simpler to answer what’s not in your Akashic Records — the future. Reading Akashic Records is not about fortune telling. Your future has not yet been written. How it plays out depends upon choices that you make. Everything about who you are now, and who you were in the past is there. Why do I act the way I do? Sometimes I really don’t understand myself. How do I reach higher consciousness? Did I make the right choice? It felt right at the time, now I’m not sure. What is my soul purpose? Why am I here on the planet at this time? Do you ever feel like there are more questions than answers? If you’re like most people you’ve probably experienced far too much frustration and run into lots of brick walls on your life journey. It doesn’t have to be that hard and you don’t have to do it alone. All you have to do is ask for help to access your Akashic Records (your instruction manual), to finally get your answers. For many years access to the Akasha was limited to a small number of “Masters.” (Have you heard of Edgar Cayce? He used a trance state to mine The Akashic Records.) Now that humanity has entered a more enlightened era, the Akasha is more accessible. It’s “unleashed” so that we may all benefit. 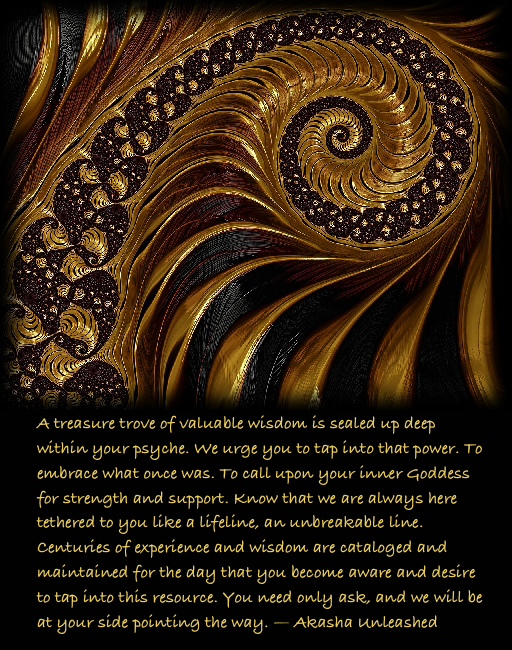 …the Akasha comes into your awareness and ignites a desire for more. Because you’ve arrived at this page, that time has come! Don’t wait another minute. Choose YOU. Choose the amazing, powerful, life you’ve always wanted. Click here for information about working with Debbra Lupien, or get your copy of The Missing Manual to You. Today is the perfect day to get your answers and claim your birthright. Cars have manuals, appliances have manual and so do you! The Akashic Records are your missing manual, the one you should have had all along — but you can't use them if you don't know about them. In her international bestselling book, Akasha Unleashed: The Missing Manual to You, Debbra Lupien explains what the Records are and how you can use them to create a deeply satisfying life. 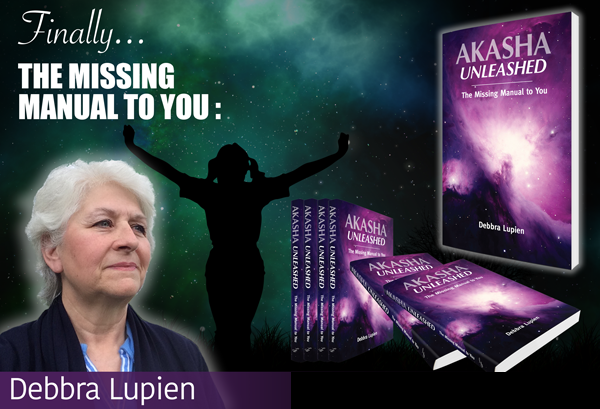 Learn how to access your Akashic Records today in Akasha Unleashed: The Missing Manual to You. Haven't you waited long enough? Yes, I want my Missing Manual!